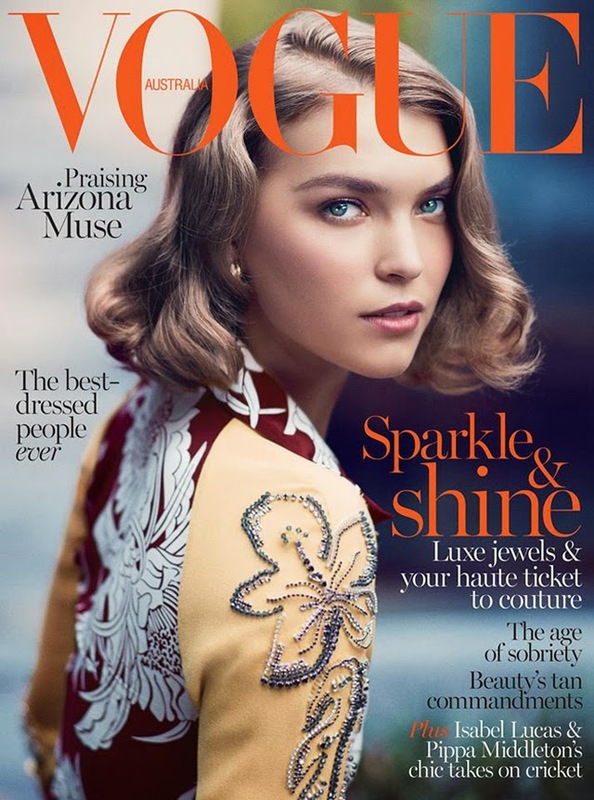 Now before you go off thinking Vogue Australia is dreaming of warmer climates with this cover, remember that they are actually in their Summer months there. So Arizona Muse is completely justified in sporting Prada Resort 2014 here for the December issue. While the rest of us freeze, they're enjoying heat waves and lovely days at the beaches. No, not bitter at all. Has anyone seen our passports?